Who’s excited about the Holidays in Central Texas? Though we may not get the wintry-white blanket our friends in the north do for the holiday season, we still find plenty of ways to celebrate! We have some fun events happening this season to celebrate the Holidays. Get your calendars out, cause here are the Top 28 Holiday Events in Austin & Central Texas for 2018! A drive-thru Christmas Light Park is located just 30 minutes south of Austin on I-35. With over 1 million lights and 100 displays & animations, the one mile drive thru park is seen from the comfort of your own vehicle. A shopping event like no other, this 5 day event puts everyone in the Holiday mood! The event consists of 4 full market days with over 200 local and national vendors. There are some really fun children’s events too – Enjoy breakfast or brunch with Santa, a teen/tween party, and photos with Santa all weekend long! The 2 hour, round trip train ride on the historic Bertram Flyer includes story-time, cookies, and a visit from both Mrs. Claus and Santa Claus! Each year, the Four Seasons Austin Pastry Chefs create a wonderful gingerbread village in their lobby for us to enjoy – and every year, it’s a fun theme! Don’t miss this year’s: “White Christmas” There are 2 Open Houses set for you to meet the chef behind the village and enjoy complimentary hot apple cider and festive cookies. This Christmas tale unfolds on ZACH’s Topfer Theatre the entire month of December. We saw it last year and it’s perfect for the whole family – so much fun with modern songs twisted into this classic tale. I couldn’t think of a more fun date night or family night! Don’t miss the fantastic light show at Mozart’s Coffee this year! This free show is each evening, every hour on the hour. 10 different communities in the Hill Country are participating on the trail this year and have events planned every weekend from Thanksgiving until Christmas. Some of our favorites include the Christmas Walkway of Lights in Marble Falls and Main Street Bethlehem in Burnet. Visit the website to see specifics. Take the family out this year to hand pick your Christmas Tree at an actual Tree Farm. In additional to getting a tree, you can enjoy a scenic hayride, animals, crazy maze & playground. Here is our experience. Enjoy the Hill Country Galleria’s Tree Lighting & Santa’s Arrival with face painting, fireworks, and special concert! Starting at 11 am and marching down Congress Ave, the Chuy’s Giving to Children Christmas Parade collects toys for Operation Blue Santa. Bring a toy to give to the marchers in the parade and enjoy big inflatable balloons, holiday floats and children’s characters. There are a variety of fun events that happen in Bastrop that are fun for the whole family – from a Lighted Christmas Parade, the River of Lights, Santa visits, Ice Skating and more. There is nothing like ice skating outdoors in Austin – and did I mention it’s on a rooftop in downtown? Yep, Whole Foods offers this fun family activity every year! Start a new Holiday tradition with your children – enjoy a tea service with drinks and sweets, caroling, and a reading by Santa on weekend afternoons. This wonderful holiday event features a running event, ice skating, Santa, shopping, food, live music, Town of Bethlehem, and a carnival. Five actors bring this classic tale to life at Round Rock’s Old Setters Hall located at Old Settlers Park. A fun evening for the whole family – check out the Christmas Towne and make a night of it! Save the Date and head to the Long Center to meet with Santa. It’s the BEST location in town to meet him – those pictures with Austin in the background are unbeatable! The town of Lockhart, Texas is transformed into a Dickens’ style Christmas starting with a Lighted Christmas Parade on Friday night. The fun continues on Saturday with an all-day festival that ends with the lighting of a Yule Log on Saturday night. Downtown Georgetown Square transforms into a Norman Rockwell-picturesque scene with window displays, carolers, yummy goodies and local vendors. Visit the live nativity at the Bethlehem Village, tease the Grinch at the Whoo-Village and Santa makes an appearance at the parade on Saturday. An interactive tour of Pioneer Farms, 12 Days of Christmas Game, and “A Prairie Christmas Carol”. The German Texan Heritage Society offers shoppers hand-made imported crafts including plenty of Christmas themed decorations such as nutcrackers and ornaments. With a visit from both the historic American Santa Claus and the traditional German Sankt Nikolas, this is a fun event for the children too. A free, family-fun event that starts with a group sing-along at the Capitol in Downtown Austin. As that is wrapping up, the Capitol Holiday tree is lite and Congress Ave becomes alive with music, art, shopping, & more. Celebrate the season with a free night in Round Rock. Tiny homes all over downtown feature free crafts, face-painting, puppet shows, and more. Enjoy free refreshments and live entertainment. Over 65,000 lights illuminate the largest Live Oak Tree in Cedar Park. Santa’s Workshop will kickoff immediately following the tree lighting ceremony. Enjoy live music, carriage rides, games & prizes, inflatables, photos with Santa (bring your own camera), and arts & crafts projects. Bring the whole family for what promises to be a festive evening. Free Admission. The Austin Ballet produces the longest-running production of The Nutcracker in Texas. Celebrating 55 years, I can’t think of a sweeter Christmas performance to take your children to. Come make & decorate your very own gingerbread house and leave the mess somewhere other than your house! These workshops fill up fast, so make your reservation today! One of Austin’s most anticipated events is back this year for an even longer run! Millions of holiday lights and displays line the trail, creating a fun experience for the whole family. Each night will feature performances from local dance companies, bands, and singers. Purchase special “ZIP” passes online to get in a full 45 minutes earlier than everyone else! Hot music, fine art and cold beer make the Armadillo Christmas Bazaar the place where Austin shops in the giving season. The show is actually two events in one: an art fair and music festival with a vibrant community-driven vibe. Austin families are invited to hear memorable Christmas music played by many different forms of tubas and euphoniums FREE. It will be fun for all ages. Happy Holidays! 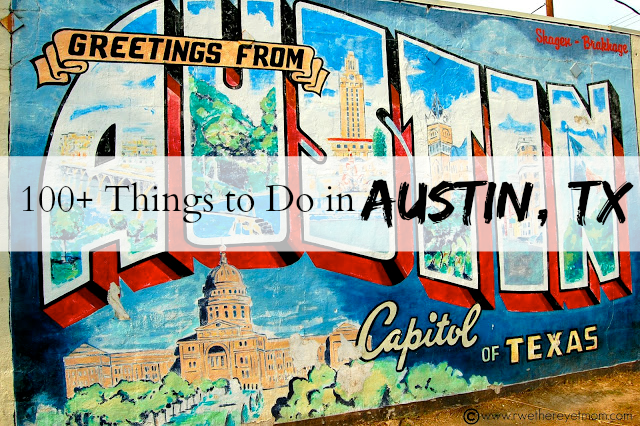 We hope our list of Holidays in Austin will help make it merry & bright! 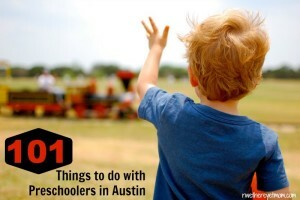 Don’t miss these great articles on more Holiday Events in Austin! What Holiday Events in Austin will you go to this year? I can’t wait to go to the Zilker Trail of Lights, it’s going to be so cool and beautiful. Can’t wait to get some cool pictures to post on Yobored.